There are a lot of ways to be charitable this Christmas. We can give money, donate our time, contribute products or simply provide companionship. Whether it's putting a gift under a giving tree, donating money to a worthwhile organisation, spending time volunteering for a local charity, or inviting an extra guest to Christmas lunch who may not have family. There are so many ways to give. One of the popular initiatives this year is the Share the Dignity #itsinthebag initiative, providing handbags for women who might need a pick me up and who may not have access to womanly essentials in life. I was so excited by this initiative when Amy from Handbag Mafia first mentioned it. Seeing so many other bloggers, friends and businesses get on board has warmed my heart. 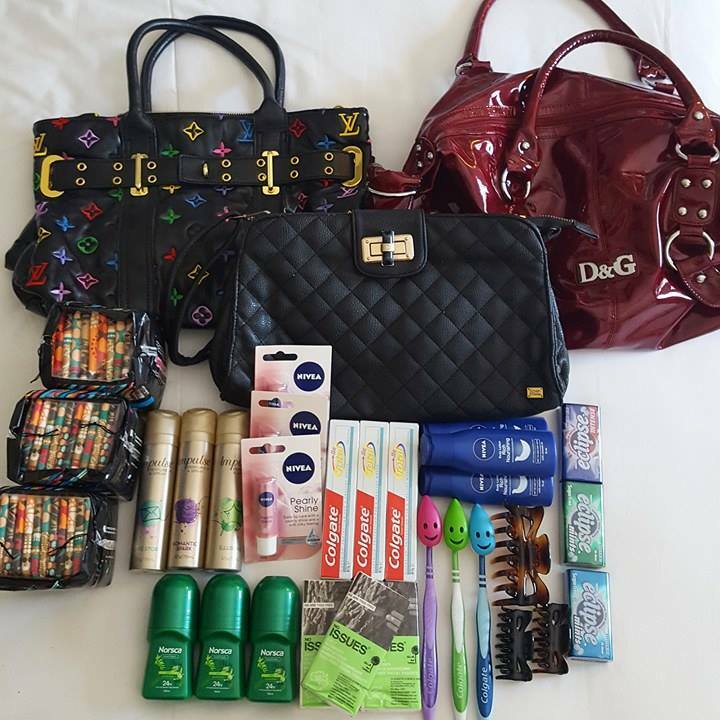 The reason is that last year I actually loaded up a handbag with female essentials and wanted to give it to a homeless woman I'd seen in Sydney. When it came time to hand it to her I got nervous that I might offend her and so I walked away. Knowing there is a charity that has the networks, the guidance and the etiquette with this sort of thing has come as a relief. NB: Including food is not recommended but I still added mints because it's something you'll always find in my handbag. Acts of kindness are such great positive energy activators which can have a flow on effect to extend well beyond the original charitable action. Being charitable is a great way to Love Life. 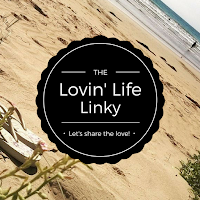 What are you Lovin' about Life this week? Did you get involved in #itsinthebag? What charity ideas do you have in the lead up to Christmas? What a great project to be a part of, Leanne! Well done. One of the things I love about this time of the year is the chance to do something for other people. This is such a great charity initiative. One of the ladies at work is coordinating the donation of handbags at our work for this initiative too. Almost everyone has a handbag that's still in good condition but they don't use at home. So glad you're getting behind this too- legend! I'm dropping mine off today! I'm yet to do mine. You have reminded me to get some goodies when I'm shopping today. It's such a great initiative. I really love this idea! Seems a very practical and thoughtful way to be charitable to others this Christmas! It's a great initiative. A women's networking group I was a part of did something similar the last few years - not involving handbags, but wanting products for homeless women! I'm not a big handbag person so don't really have any, but guess that shouldn't stop me getting involved! We are on the same wavelength this week Leanne! I love this idea of Share the Dignity and thanks for promoting the idea. Have a great week! My girls are doing up bags this weekend. Such a great initiative. I've also put my hand up for Christmas gift wrapping for a local charity. This is such a great initiative - it's good to see so many people on board! It's a lovely initiative and a great opportunity to raise awareness. Fantastic Leanne! I am currently collecting food and toiletries for Wesley Mission Victoria's 2016 Christmas Appeal. We are so blessed, that it is important to give to others!! It's such a great feeling to give and Christmas seems to bring that out in a lot of us. The handbag thing for women is becoming so popular and is such a great idea - so is the gift tree in shopping centres - and I love the "give a goat" Christmas presents too - it saves on wrapping paper! What a fantastic initiative, I love that idea!